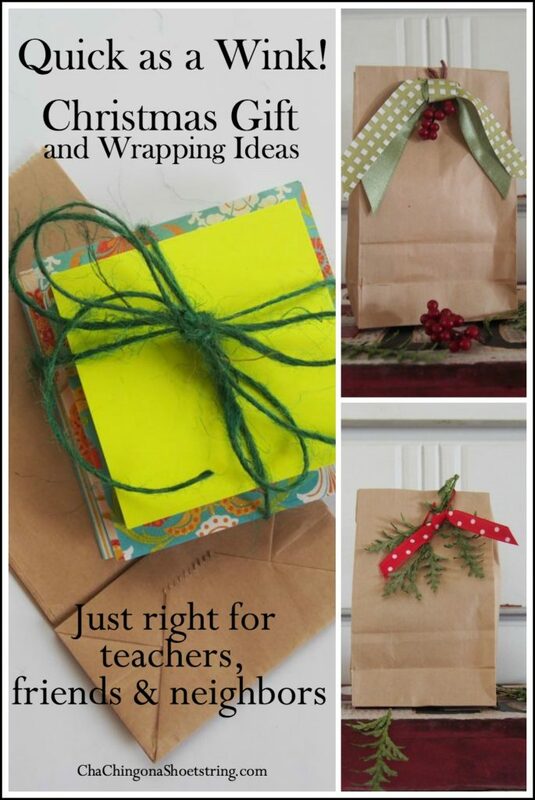 My goal in creating gifts for teachers, friends, and neighbors is for them to be warmly heartfelt, yet at a modest cost. In addition, I want the gifts to be consumable because most people don’t need something more to find a spot for in their house. So, let’s go. 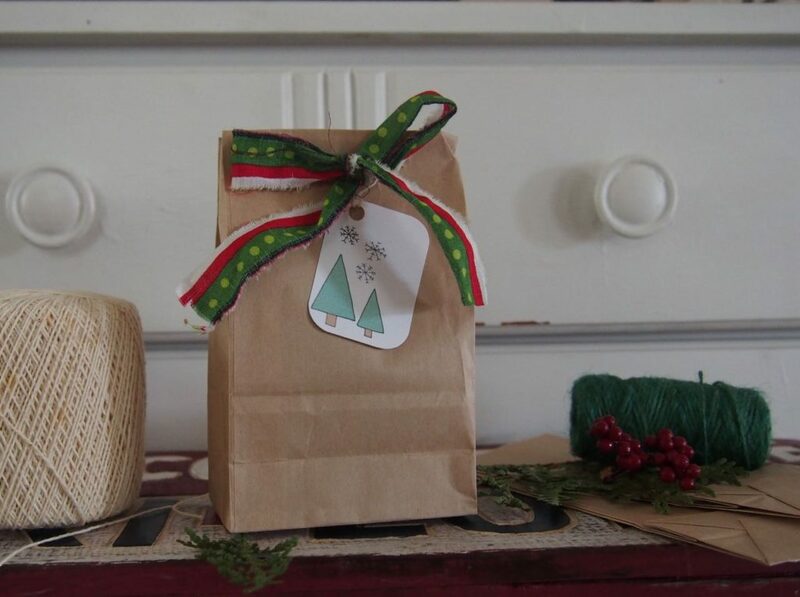 Once you gather your supplies, you’ll be surprised at how quickly you can create a gift for those on your list. I got the paper pad at Michaels using their 50% off coupon, but any random scraps of decorative paper you already have on your shelf will work. 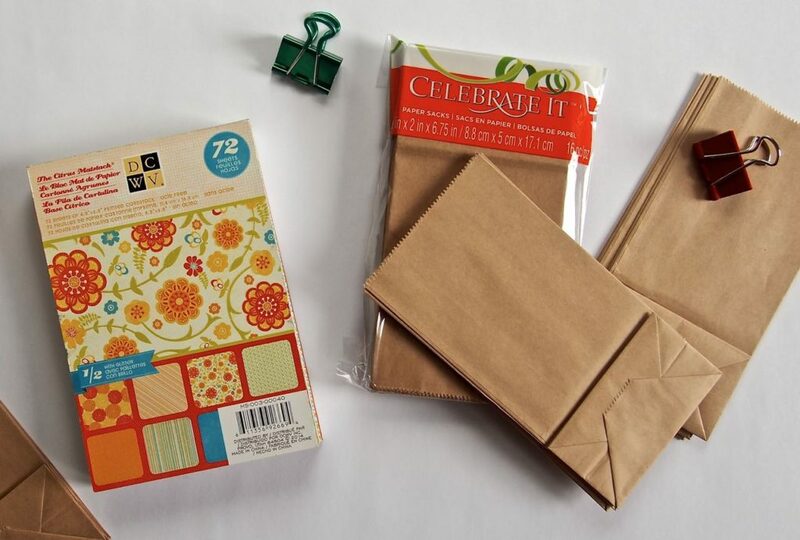 I also bought the 3.5 x 2 x 6.75″ Celebrate It™ mini paper bags at Michaels, once again, using a 50% off coupon. You can find mini bags on Amazon also, but for this project it’s important that the bags are at least 6.75″ wide. I made the mistake of ordering bags that were only 3 x 2 x 6″ and the pads wouldn’t fit into them. 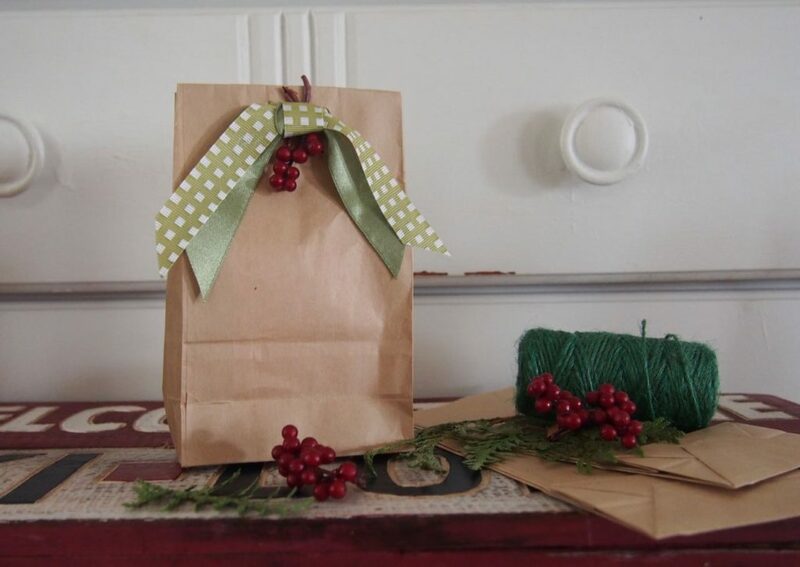 Wrapping Idea #1: I ripped a strip of fabric to create a bow. The tag printable can be found here. And there you have it–uncomplicated, modest cost, creative, consumable, and heartfelt. All that in one very little bag. 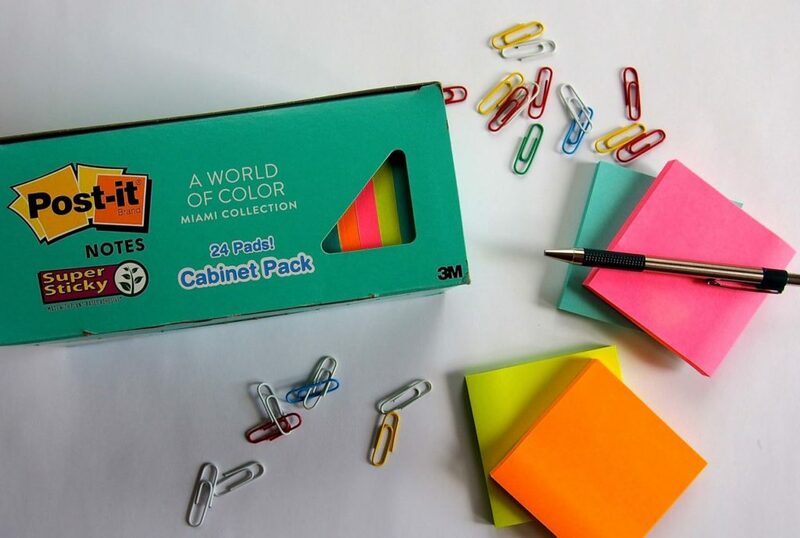 Looking for more clutter-free gift ideas? 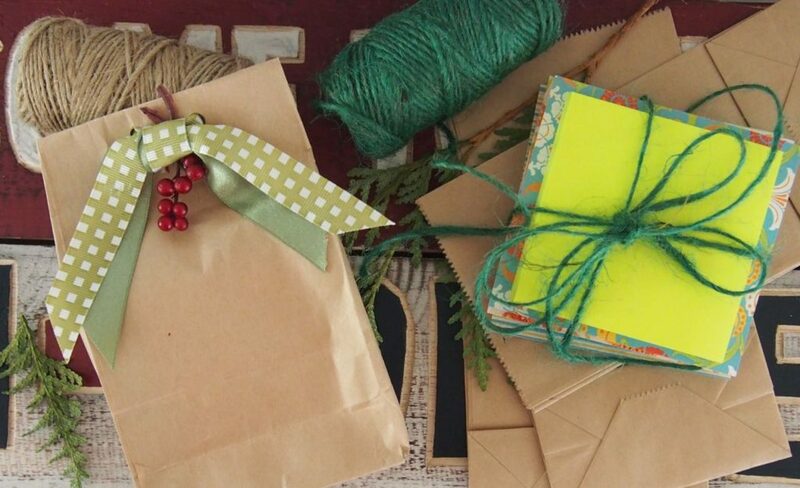 Click here for 100 Clutter-Free Gift Ideas.